SBI and SBI e-Learning provide amazing opportunities that can put you on the road to personal and financial independence. For many different reasons a lot of people just aren't up to the SBI DIY program. For those people these opportunities may just as well been locked behind the door of a bank vault in some distant country. Now, through the wonders of the Internet and the SBI virtual classroom, people from all walks of life and the furthest corners of the world can have access to these opportunities. This program not only unlocks and opens the vault door, but you will be guided step-by-step in search of the opportunities that await. SBI provides an easy to understand process and removes the barriers and confusion caused by the fear of the unknown and the lack of knowledge, clearing the way for you to start and build your own Internet e-business web site. 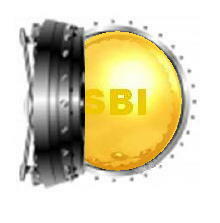 SBI DIY is a process that has been proven to work for all age groups from teenagers to senior citizens, and all types of industries on virtually every continent. As an online 'self-study' course SBI DIY has made it possible for tens of thousands of individuals around the world to become successful independent online business owners. Now, true to the spirit of the SBI pay-it-forward mentality many of those people have become qualified owner/instructors teaching the SBI programs in colleges and universities around the world. In countries such as Africa, Australia, Canada, Egypt, Israel, United Arab Emirates, the United Kingdom and the United States people just like you and me are finding new opportunities on the Internet, and the list of countries keeps growing almost daily. This program is designed for people who want to do their learning in an instructor guided, classroom format but from their home computer, PDA or any location with Internet access any where in the world, without the need for weekly trips to a classroom. You'll meet online once a week, for 12 weeks, to work with your instructor and classmates. In 12 weeks, just 3 short months, you will learn how to harness the earning power of the Internet. 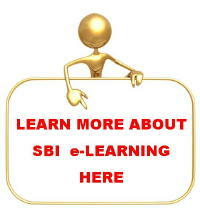 Many people spend years in colleges and universities and never learn information as beneficial and meaningful as what you will learn from SBI e-learning. In an uncomplicated, easy to understand way, your dedicated and experienced SBI instructor will answer your questions during each live session and via e-mail. Learn through the guidance of an experienced SBI owner/instructor, and by classmates sharing their experiences. Learn how to organize your ideas. Learn to identify viable web site concepts that interest you. Begin building an e-business web site that keeps visitors reading what you have to say, page after page. Learn how to write in a way that builds relationships, creates community and pulls in the search engines. 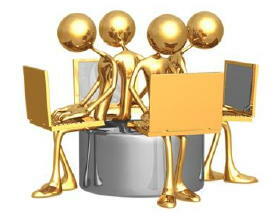 Learn to plan ahead for multiple income streams that will supplement your main e-business income. While this may sound like school, I can assure you that it's like no school you've ever attended. The focus at SBI is on your success, enabling you to share your knowledge and passions with others via the Internet and get paid along the way. What will you need to bring with you? Motivation and a strong desire to learn and succeed are key ingredients. 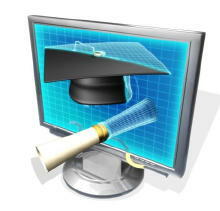 You will start as a student and 'graduate' with a real e-business web site and a clear plan to grow it as large and as profitable as you want. Much better than school as usual. Don't you think? Would you rather 'graduate' with a growing e-business web site or a piece of paper that says you finished and you are now qualified to work for someone else and help fulfill their dreams and grow their business? If this sounds like you, come join us at Solo Build It e-Learning and take advantage of this opportunity to achieve your dreams. If you don't work on you dreams, who will? OPEN THE DOOR TO YOUR FUTURE? Return to our About Solo Build It page from our Solo Build It e-Learning page.